Myelosuppression is defined as a decrease in the ability of the bone marrow to produce blood cells. It occurs most commonly with cancer as a side effect of chemotherapy, but there are a number of other causes as well. Myelosuppression can result in a decreased production of red blood cells (anemia), white blood cells (leukopenia), and platelets (thrombocytopenia), and may occur when there is damage to the stem cells in the bone marrow, when the bone marrow is replaced by cancers such as leukemia or metastases from cancers such as breast cancer, or with bone marrow failure, often the result of drugs that are toxic to the bone marrow. What do you need to know about myelosuppression? To understand myelosuppression it's helpful to talk about the function of bone marrow. In the bone marrow, all of the blood cells—red blood cells, white blood cells, and platelets—begin with a single cell type: the hematopoietic stem cell. Hematopoietic stem cells have the ability to evolve into any type of blood cell. These cells go down separate pathways as they differentiate into red blood cells, platelets, and white blood cells, and then into more specialized cells such as the different types of white blood cells. But they all begin with stem cells. Myelosuppression refers to a process that disrupts these stem cells, and. consequently, affects all of the different types of blood cells. The term myeloablation refers to severe myelosuppression in which no blood cells are made. Red blood cells (RBCs): Red blood cells contain hemoglobin, the protein that is responsible for binding with and delivering oxygen to all of the tissues of the body. White blood cells (WBCs): White blood cells are our body's defense against microorganisms such as bacteria, viruses, and fungi, as well as cancer cells. Platelets: Platelets are responsible for helping blood to form a clot when a blood vessel is broken. There are several ways in which the bone marrow can be disrupted so that it does not produce blood cells. Damage to the stem cells: The most common cause of myelosuppression is due to medications which slow the ability of stem cells and specialized descendants to divide and multiply. All of our blood cells are continuously being replenished. Medications such as chemotherapy drugs cause drug-induced bone marrow suppression. 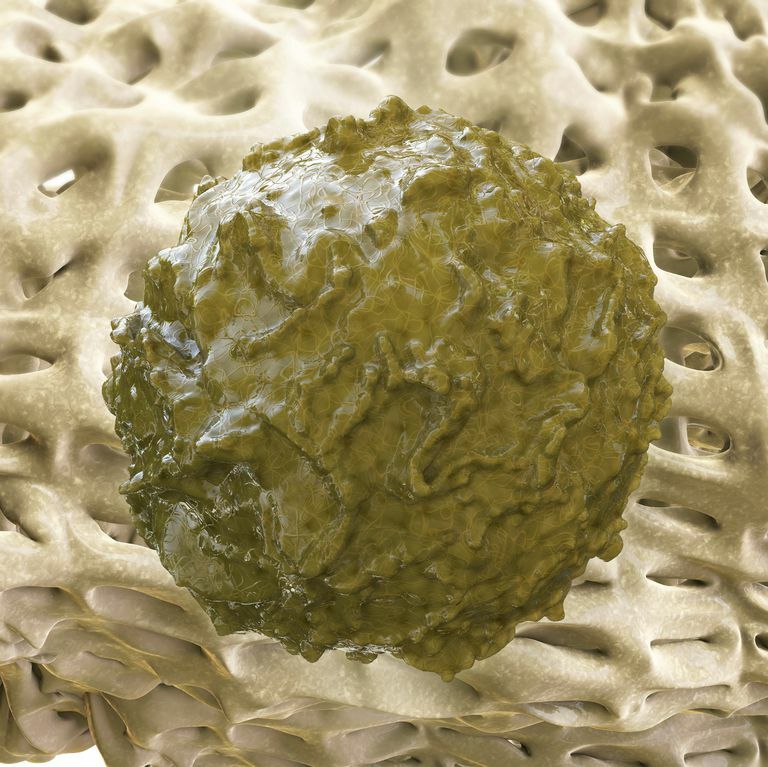 Replacement of the bone marrow/crowding: The bone marrow may be "crowded out" by things such as blood cancers or metastatic cancer so that there is not "room" for the normal manufacturing of blood cells. Bone marrow failure:- Instead of being suppressed by a medication, the bone marrow can instead be destroyed by various toxins and chemicals. When this is the case, stopping the drug will not result in the bone marrow again doing its job of manufacturing blood cells. Chemotherapy-induced bone marrow suppression. Chemotherapy kills off all rapidly dividing cells such as cancer cells, including the cells which become all of the types of blood cells. Cancers of the bone marrow such as leukemias, lymphomas, myeloma, metastatic cancer to the bone marrow (such as from breast cancer and other solid tumors) can result in "crowding" so there is not room for hematopoiesis to take place. Deliberate myelosuppression/myeloablation - In blood-related cancers present in the bone marrow, very high dose chemotherapy is used to ablate the bone marrow. When the bone marrow is "clear" a bone marrow transplant or peripheral blood stem cell transplant is then done to repopulate the bone marrow with non-cancerous blood stem cells. Anemia: Anemia refers to a deficiency of red blood cells. Anemia can cause fatigue, weakness , pallor, a rapid heart rate, shortness of breath, and lightheadedness. Chemotherapy-induced anemia is a common cause of fatigue during chemotherapy. Thrombocytopenia: Thrombocytopenia refers to a deficiency of platelets. A low level of platelets can result in bruising and heavy bleeding. Chemotherapy-induced thrombocytopenia may not be a problem as often as say neutropenia but can cause serious bleeding in some people. Is Myelosuppression the Same as Immunosuppression? You may wonder if immunosuppression and myelosuppression are the same. In the setting of myelosuppression, the production of white blood cells is decreased, so there will be immunosuppression. But immunosuppression doesn't always mean myelosuppression. For example, a medication (or another process) may suppress white blood cells or other particular parts of the immune system, but not affect the red blood cells or platelets. The treatment of myelosuppression will involve treating whatever the cause of myelosuppression happens to be. If it is related to drugs or chemotherapy, treatments may have to be stopped or delayed. If it is due to infiltration of the bone marrow, and consequent crowding, treatment of the cancer in the bone marrow is the most important step. If it is due to bone marrow failure, it will be important to see whether or not the bone marrow failure is reversible, and if not, treatments such as replacement of the blood cells and bone marrow transplant may need to be considered. For symptoms related to myelosuppression, treatments may be directed at the specific cell deficiency causing symptoms. For anemia, transfusions, iron supplements, or growth factors may be given. For neutropenia resulting in a risk of infection or presence of an infection, growth factors (such as Neulasta) may be used and the infection treated aggressively with combination antibiotics. For low level of platelets which raises the risk of bleeding transfusion may be needed. The links above to chemotherapy-induced anemia, neutropenia, and thrombocytopenia outline these specific treatments that may be considered if myelosuppression is related to chemotherapy. Examples: Due to severe myelosuppression, Rick's oncologist suggested he wait a week before his next chemotherapy treatment. Coates, T., Drug-Induced Neutropenia and Agranulocytosis. UpToDate. Updated 08/01/16. Weinzierl, E., and D. Arber. The Differential Diagnosis and Bone Marrow Evaluation of New-Onset-Pancytopnia. American Journal of Clinical Pathology. 2013. 139(1):9-29.